Autum and Efren had an awesome wedding at the Coronado Community Center! Efren & Autum held their big day at the Coronado Community Center and it was a wonderful Sunday wedding! I was honored to provide DJ/MC Services from Beginning to End for the Ceremony, Cocktail Hour, and Reception; plus uplighting, wash lighting and pinspotting for the reception! This one was extra special since I originally met Autum and Efren in the San Diego VAVi Running Club, which also met a few of my running friends were at the wedding! The Ceremony was held outside where San Diego set a beautiful background for a perfect wedding; of course in combination with background music and sound support from us! I helped by providing Sound Support and the Ceremony Music. Guests then moved to the patio to enjoy drinks , hors d’oeuvres, and music for the cocktail hour til it was time for Efren & Autum’s big grand entrance. I supplied a separate sound system and played a groovy mix of Cocktail Hour music for the patio. Last dance time . . . 7.5hrs after it all started! We lit up the Coronado Community Center to blow all expectations away for the traditional reception area! Alternating uplighting of Amber plus Fuchsia wash lighting was used to create a beautiful ambiance that matches the style and color palette of Efren and Atum’s wedding! Pinspotting was set up to highlight the cake and make it stand out from the room! The rest of the evening was filled with Dancing, toasts, dinner, cake cutting, and more dancing, along with the ever so popular Gangnam Style! 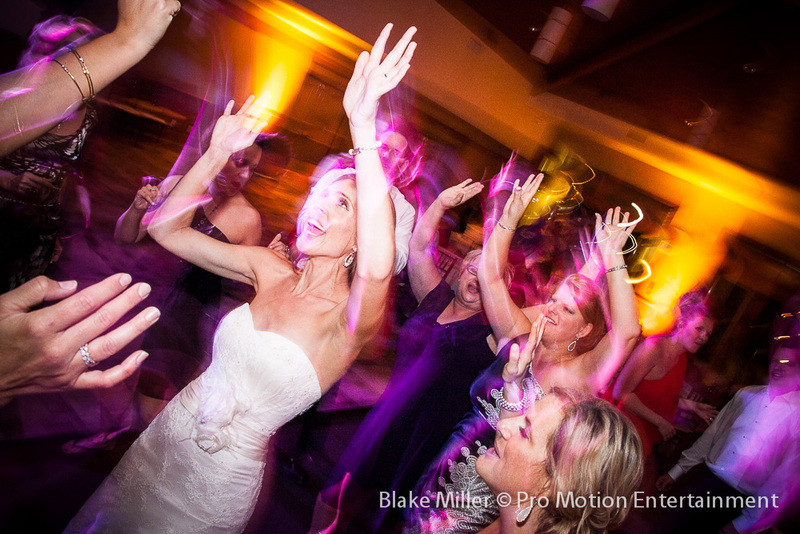 It was a memorable one for sure since it went nearly 7.5 hours from start of ceremony to end of dancing . . . and all on a SUNDAY NIGHT!!! Just wanted to send an extra special thanks for making our wedding so much FUN! 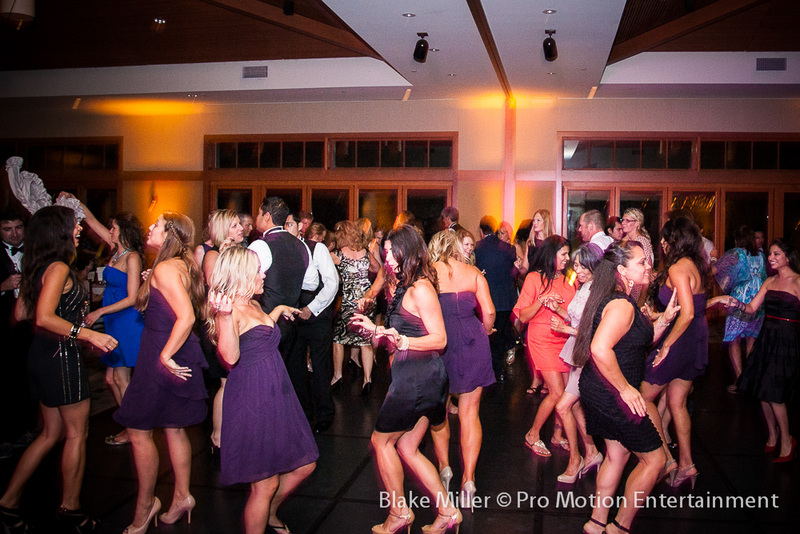 You kept the dance floor busy & everyone entertained – not sure if you could tell – the dance floor is always my favorite. We received so many compliments about you – everyone enjoyed themselves. I wanted to send a quick note about the wedding a couple weeks ago. We had nothing but positive comments from the guests about you and I wanted to thank you. 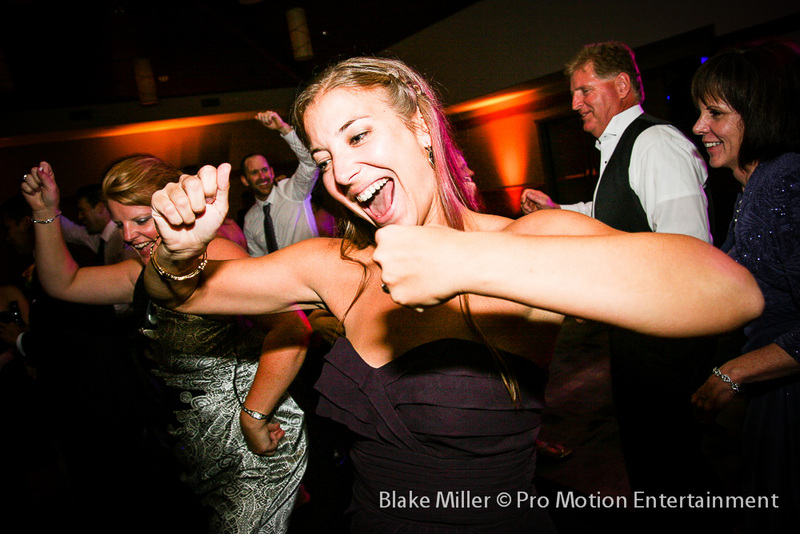 The wedding went great and everyone thoroughly enjoyed themselves….especially on the dance floor. Thank you for working with us on the budget (and staying so late on a Sunday). The lighting was great and Autum was thrilled with the way it went. I will definitely recommend you to my friends for their weddings in the future. Autum & Efren tieing the knot. 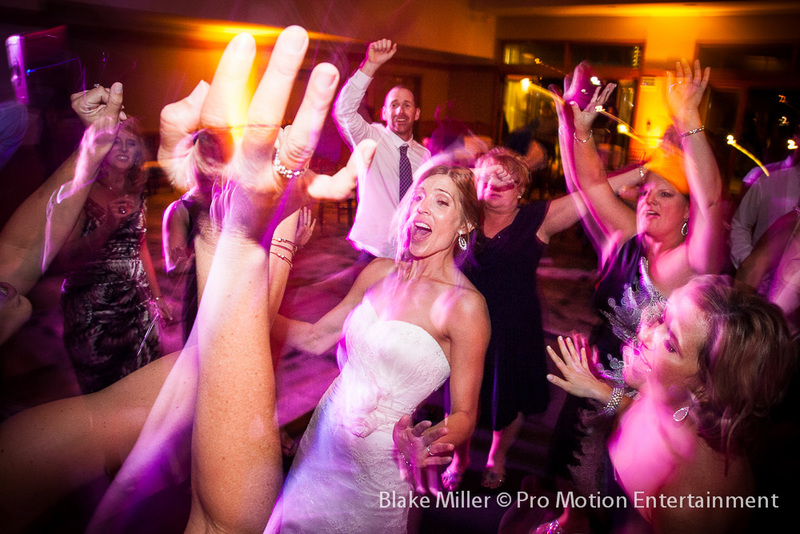 Georgous October Wedding day at Coronado Community Center. Cocktail hour at the patio. Jeff, Michelle & Rick – friends of mine from the VAVi running club. Uplighting and Wash Lighting make for dramatic backgrounds. Reception is ready at Coronado Community Center. Wash & Uplighting behind a centerpiece! Wedding Cake illuminated with pinspotting from above and golden yellow uplighting behind. Efren & Autum having their first dance as husband and wife, before dinner started. Guests enjoying dinner in the beautifully lit Coronado Community Center. Dancing got started off on the right foot! Classic photo of the photog grabbing some action. Autum having a great time! The Dance Masks were brought out at 10:30pm . . the night was still young! Name the dance?! Gangnam Style still a big hit. Gangnam Style . . still. Efren & Autum groovin it.